Started a new project before I finished my bow cowl. My ADD kicked in and decided to make a pretty colored baby jacket from Red Heart’s Bright Mix Yarn. I love the colors in this yarn. Vanessa (my sister and fellow crocheter) agrees these colors are gorgeous. One skein didn’t finish my project. I estimate for two of the kimono style jackets I am making I will need 3-3 1/2 skeins. 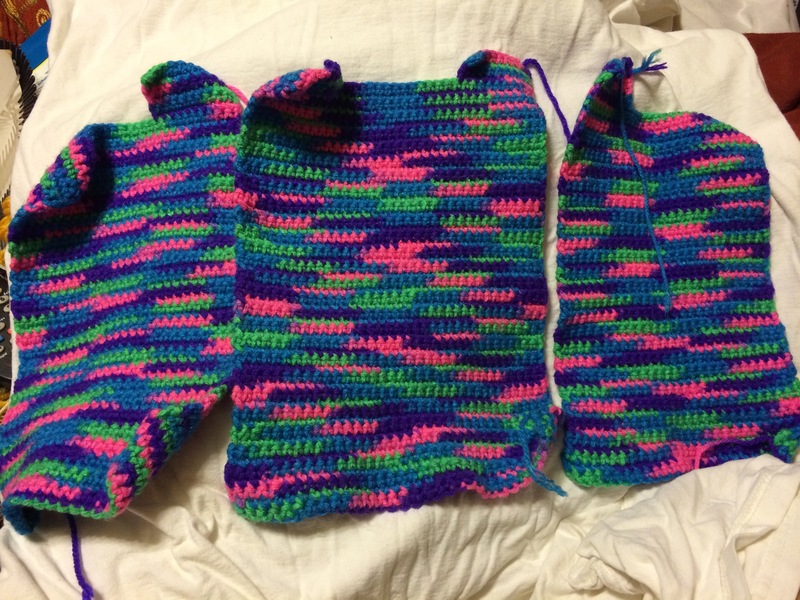 I was able to finish the two front pieces with one skein and a small amount from the second skein. This was not a free pattern but I will post all of the information with the completed post.